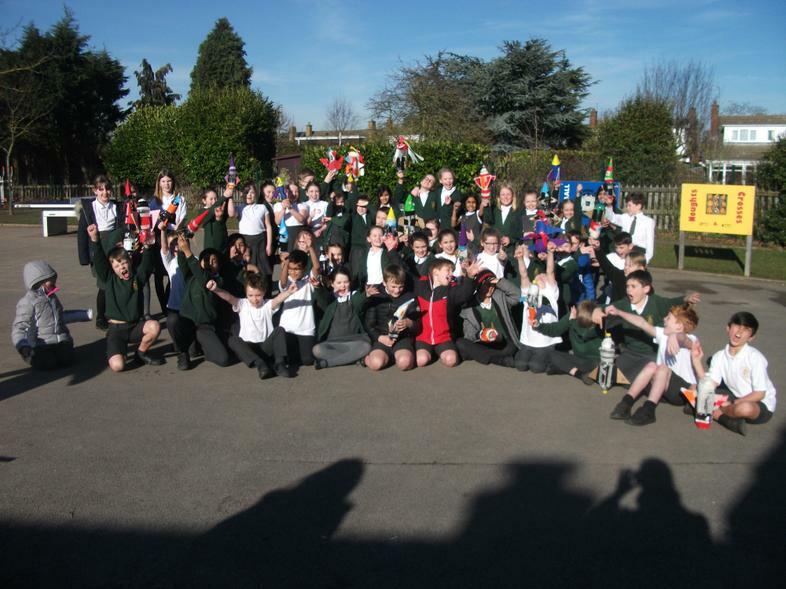 We hope that you enjoy looking at our year group web-page. 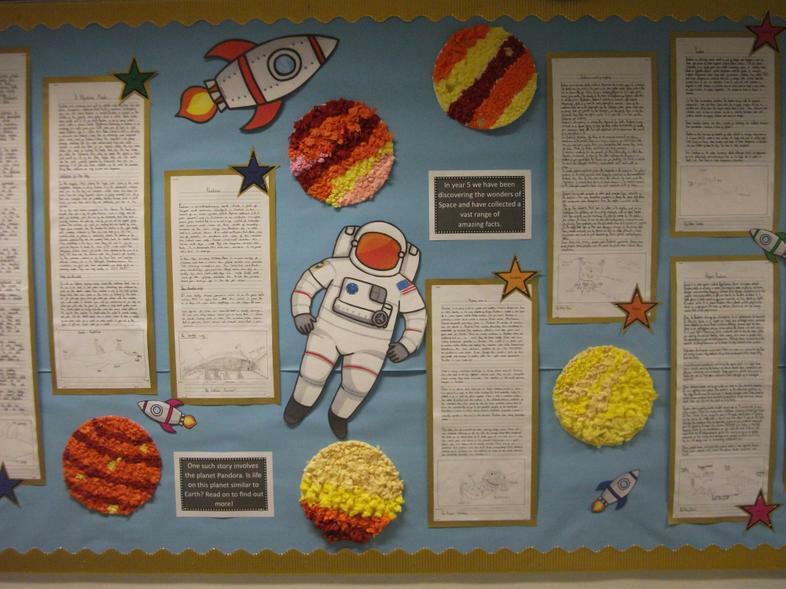 Below is a list of information regarding the current topic that we are studying. 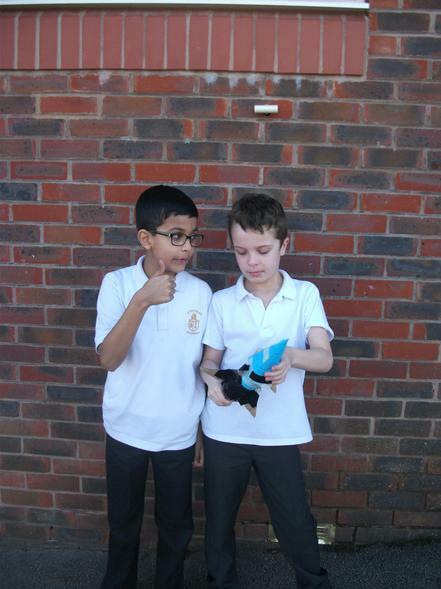 You will also find some useful links for spelling and times-table practice. 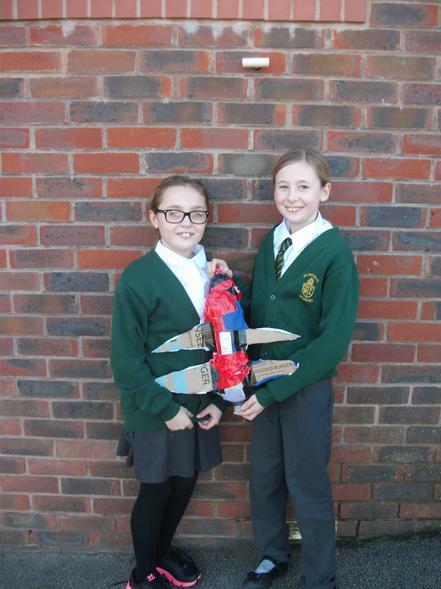 If you have anymore queries please ask Mr Talbot and Miss Thorpe. 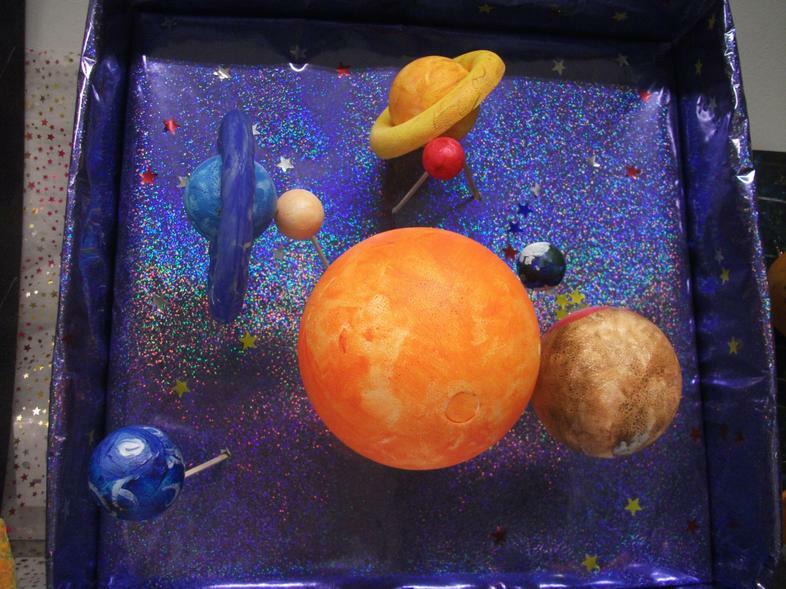 Our current curriculum topic (Spring term 2) is the Blue Abyss! 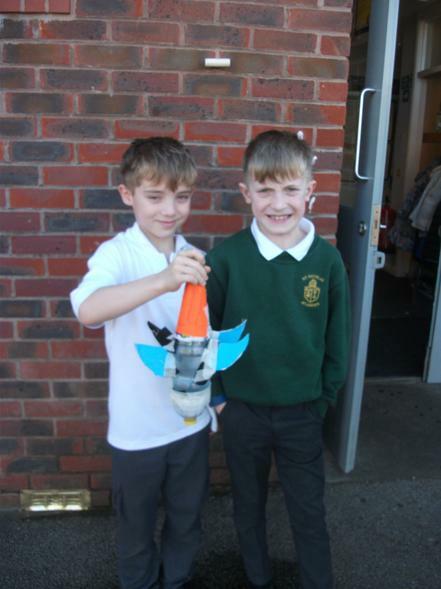 Please see the bottom of this page for more information. 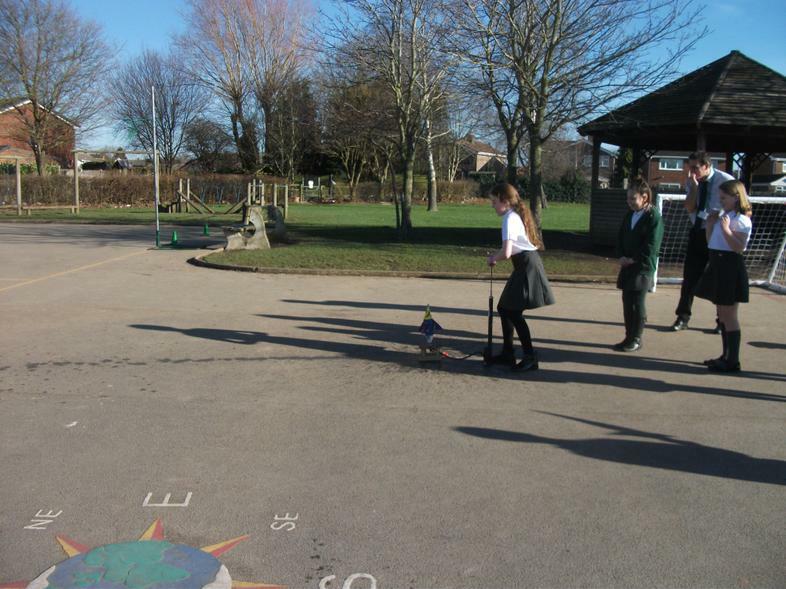 Times- tables practice using TT Rockstars. 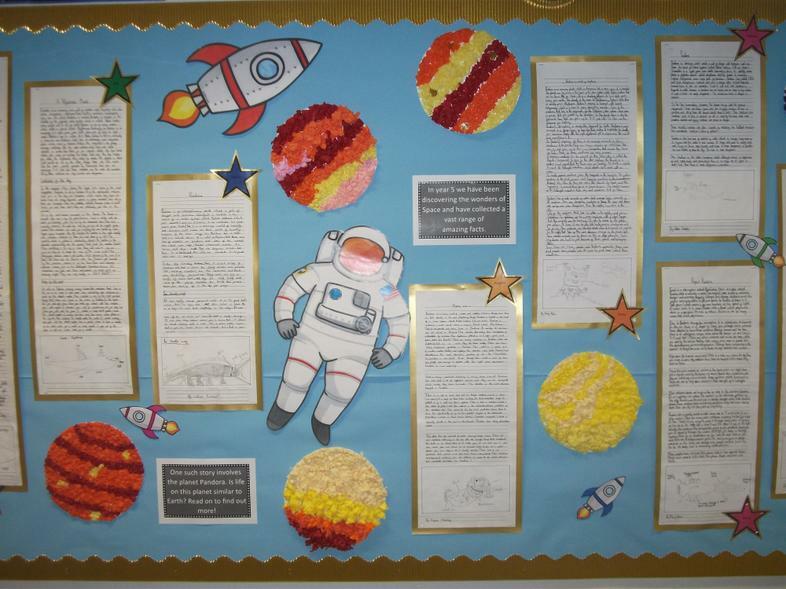 In addition to this, every half term the children will receive a homework activity sheet. 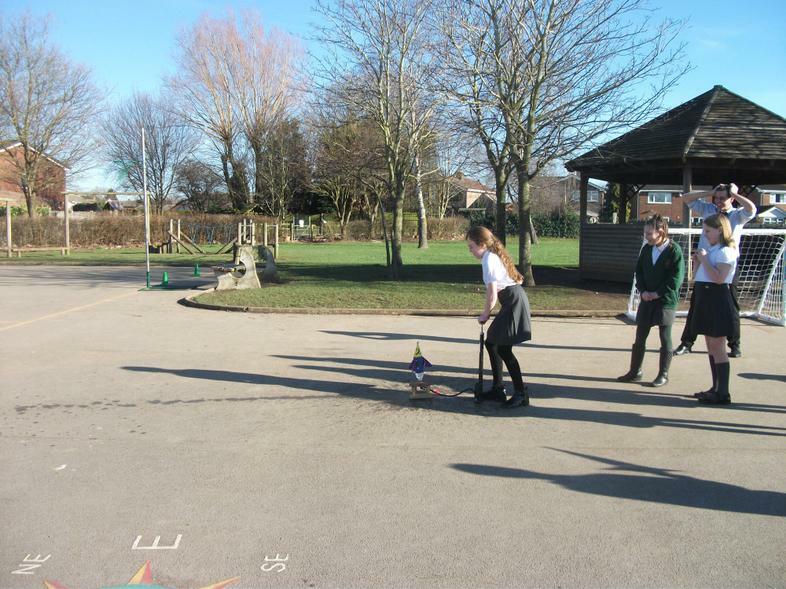 From this, they can choose 5 activities which need to be completed by the last week of each half term. 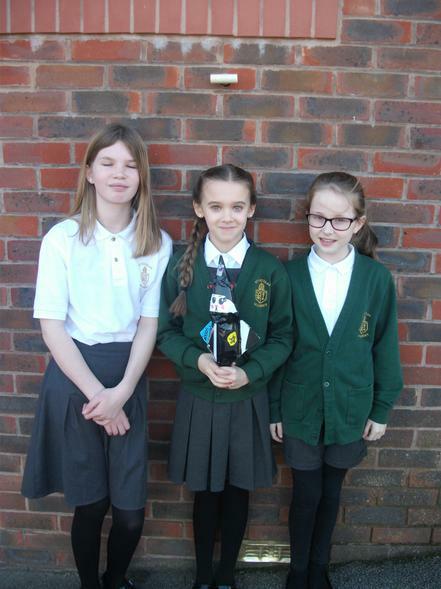 As you are all aware, Year 5 will be visiting Whitemoor Lakes on 8th- 10th May 2019. 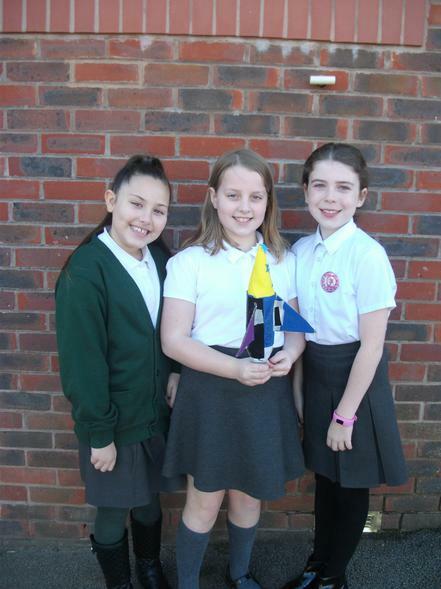 We will be holding a meeting for this to give you more information about the activities involved and the venue. 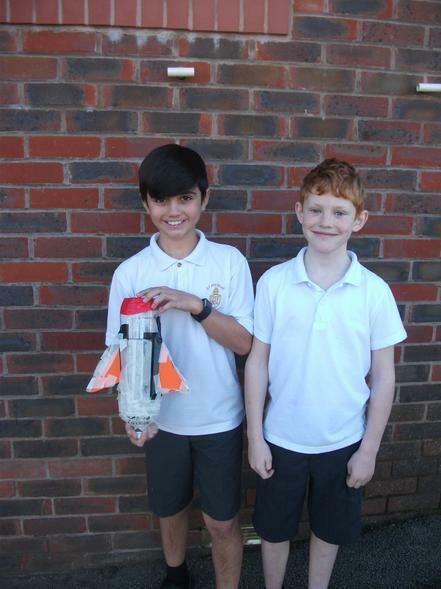 A parent mail will be emailed early next term regarding when this will take place. 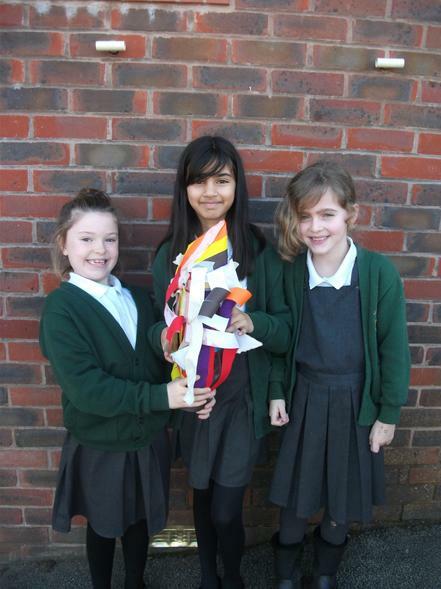 We hope that all parents and children have had a lovely and well-deserved half term break. 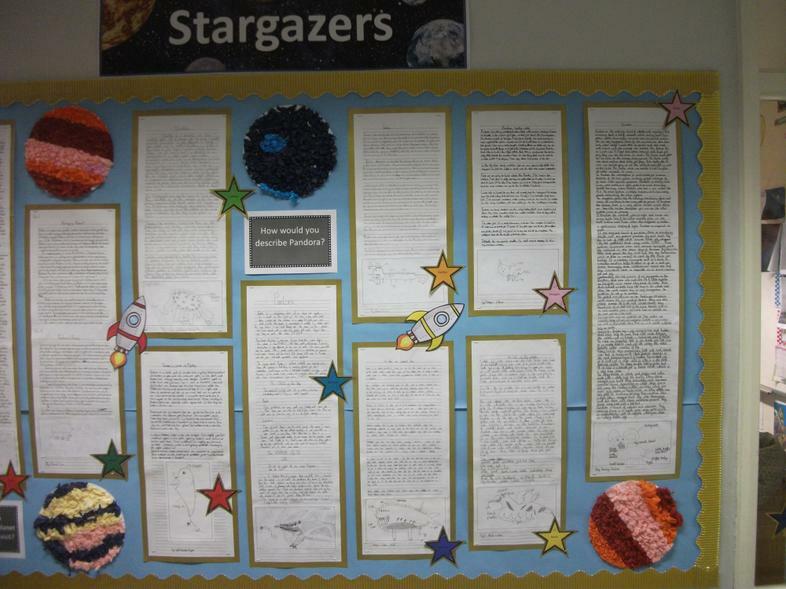 We are currently now coming to the end of our first week back of this half term and all pupils have greatly enjoyed the start of our new topic which is titled the Blue Abyss. 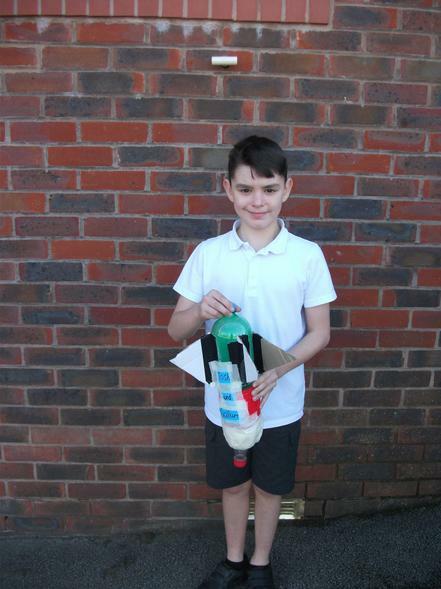 This will involve studying the different layers of the ocean and finding out about all the weird and wonderful creatures that are found there! 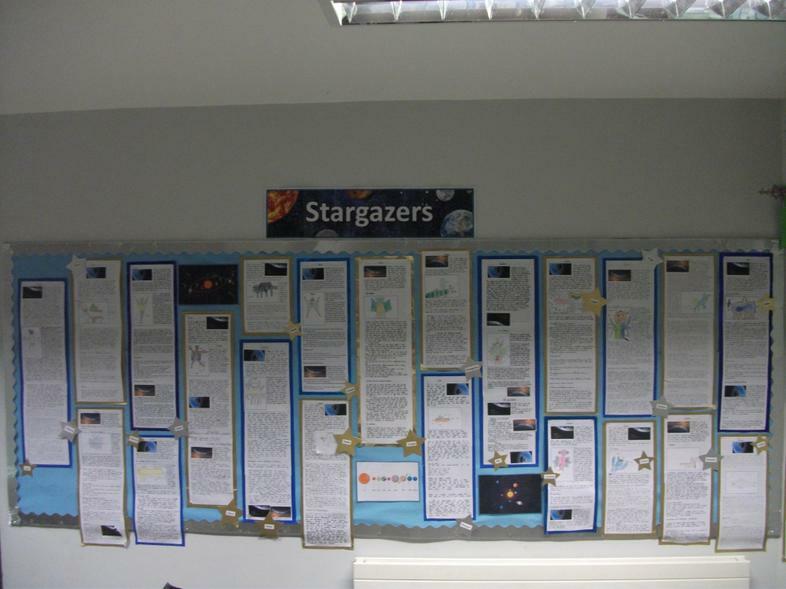 Below are some photos of our previous topic titled Stargazers. 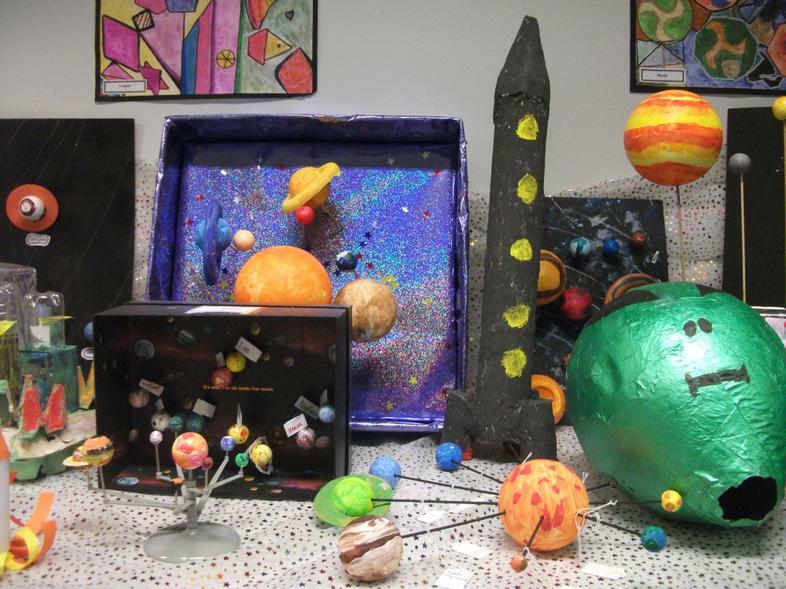 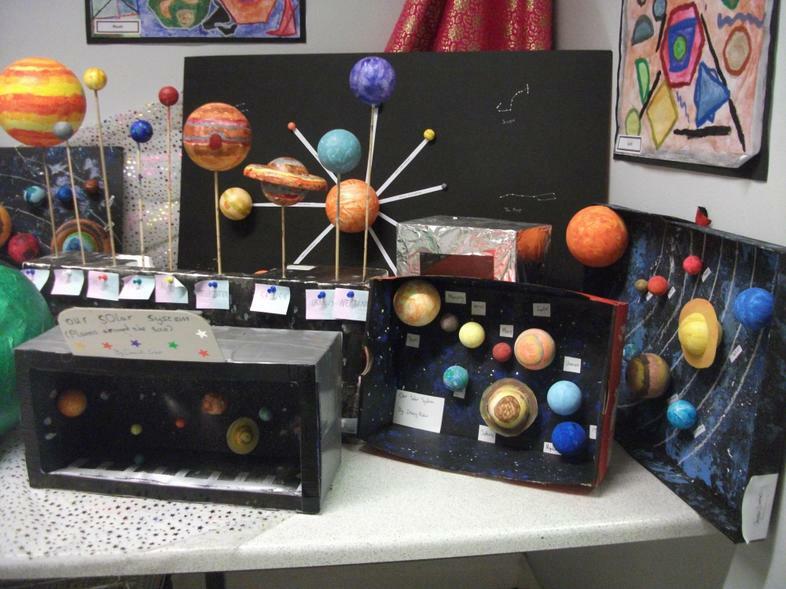 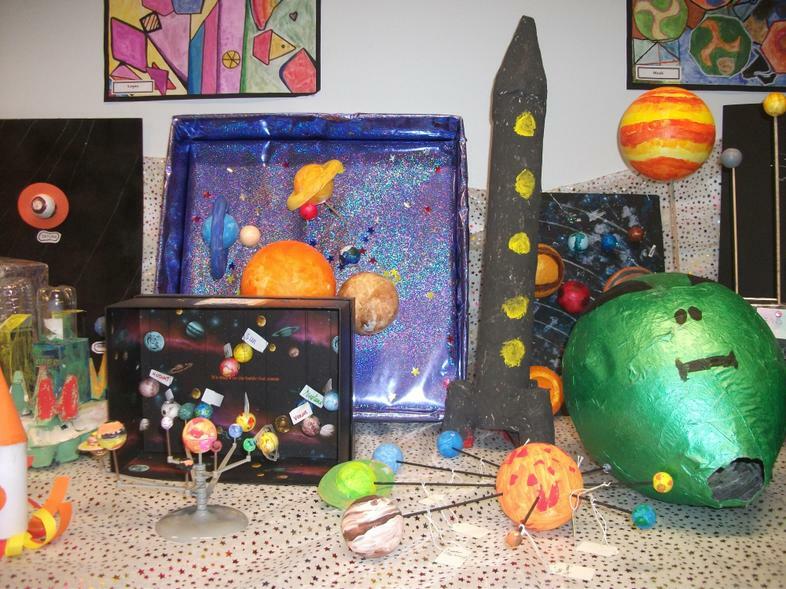 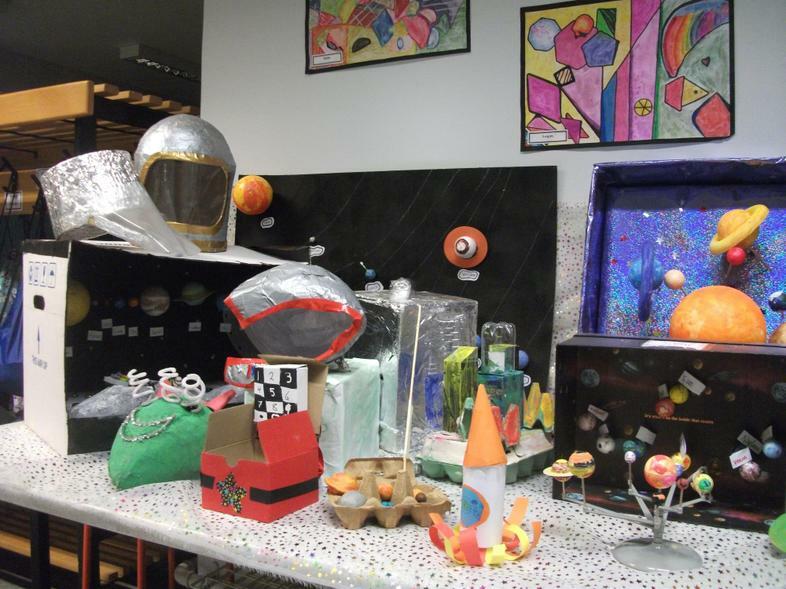 All children found the visit from the Planetarium fascinating and went on to produce some stunning pieces of work both on fantasy planets, our own solar system and even producing their very own rocket designs. 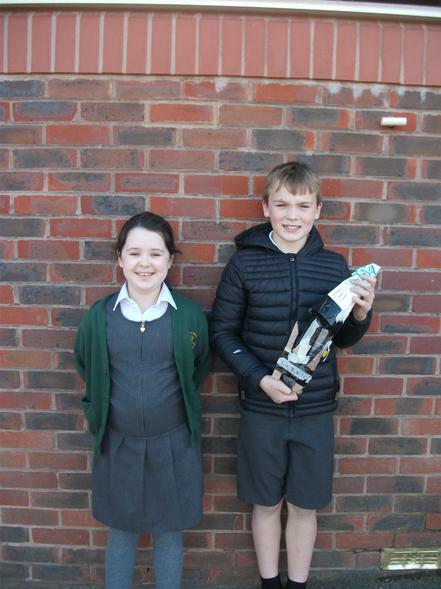 A big well done to all pupils. 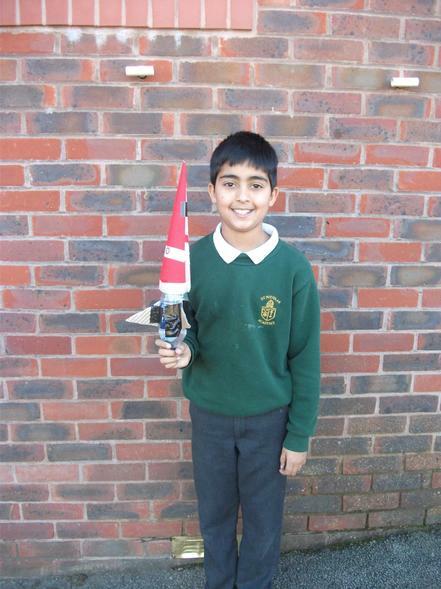 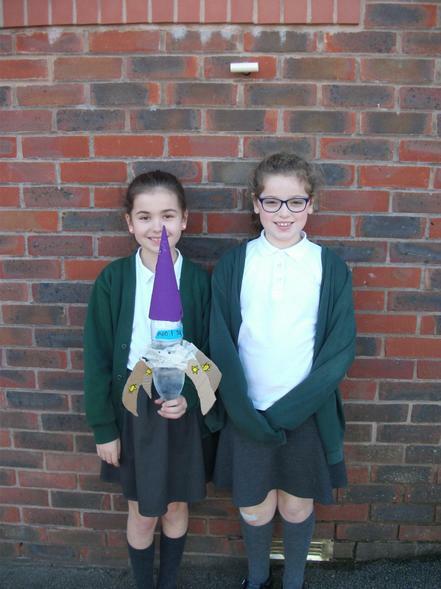 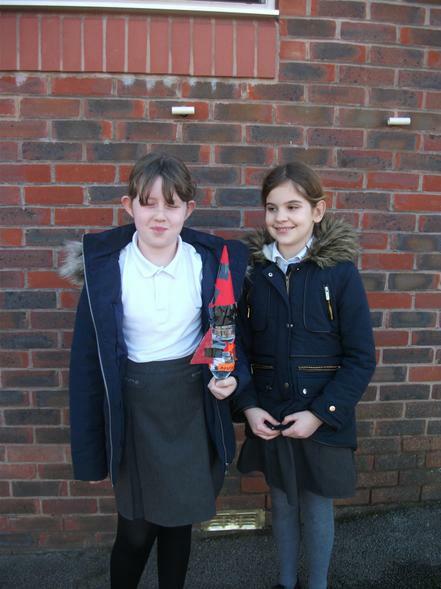 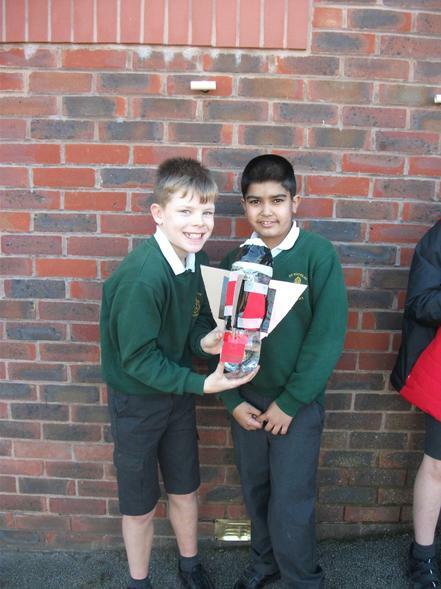 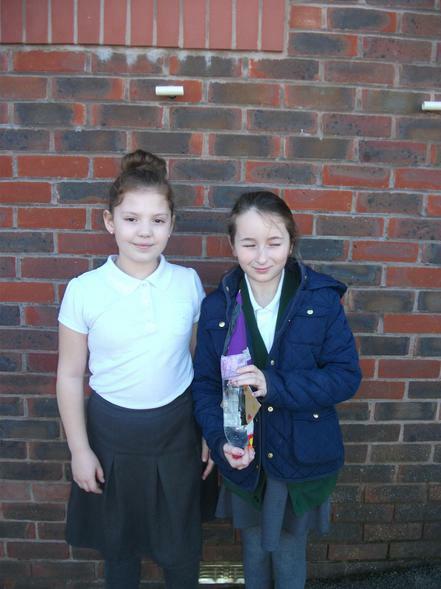 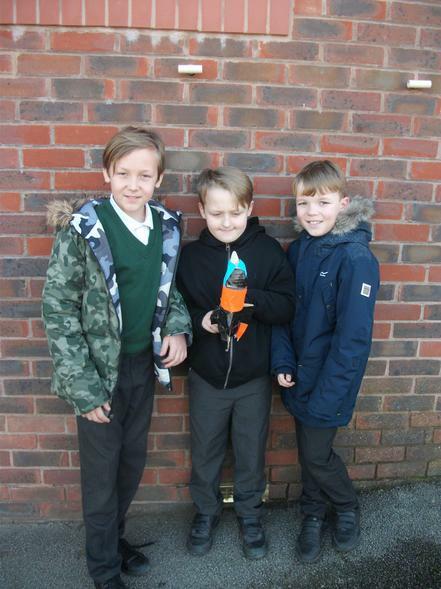 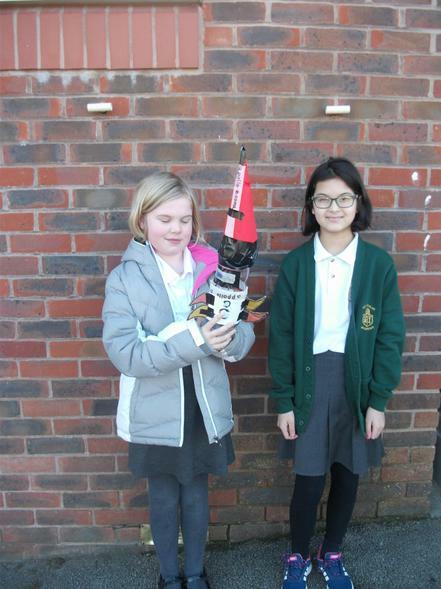 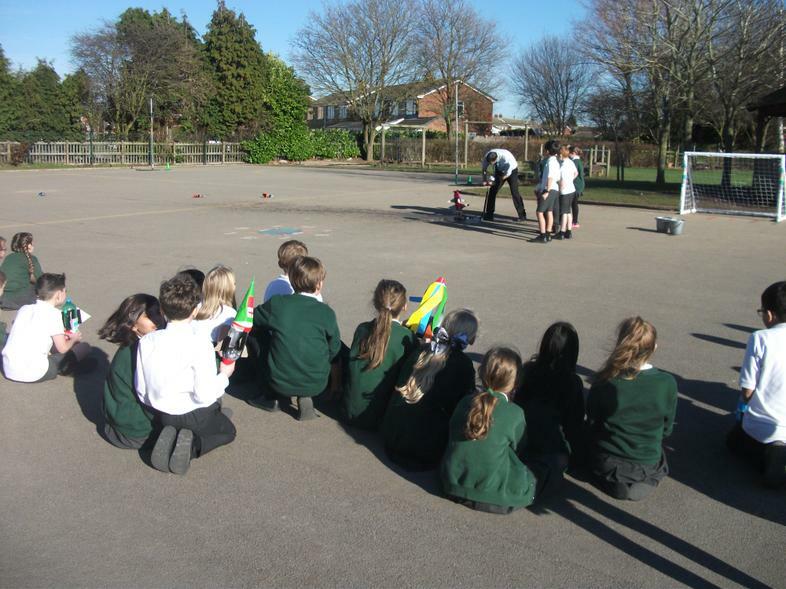 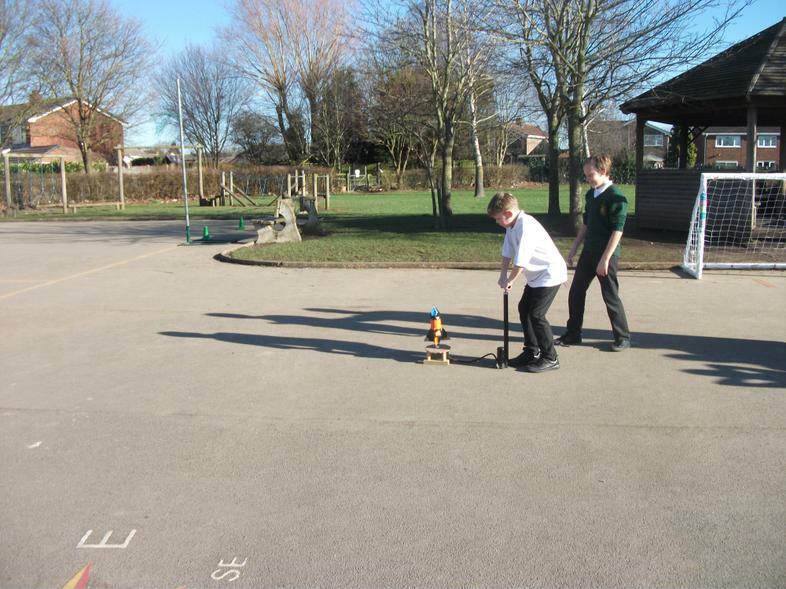 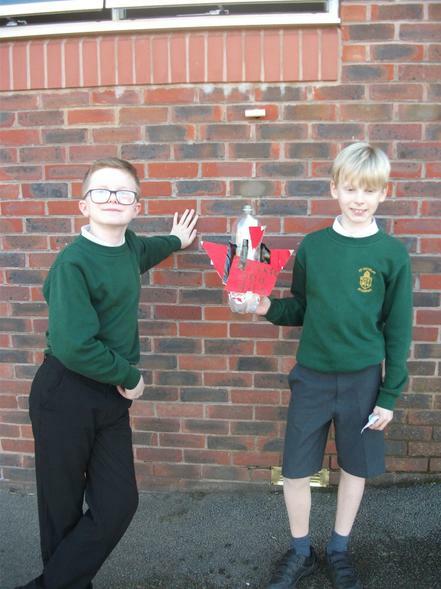 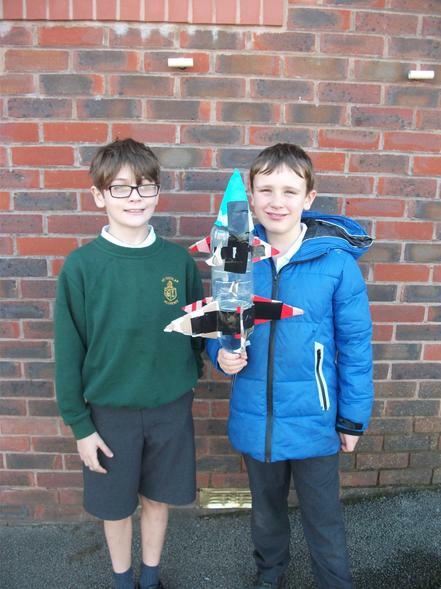 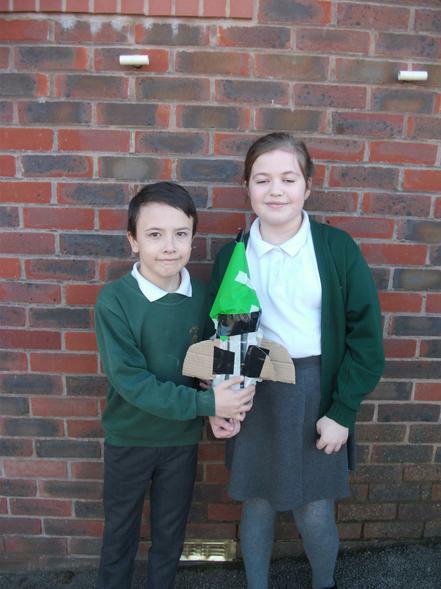 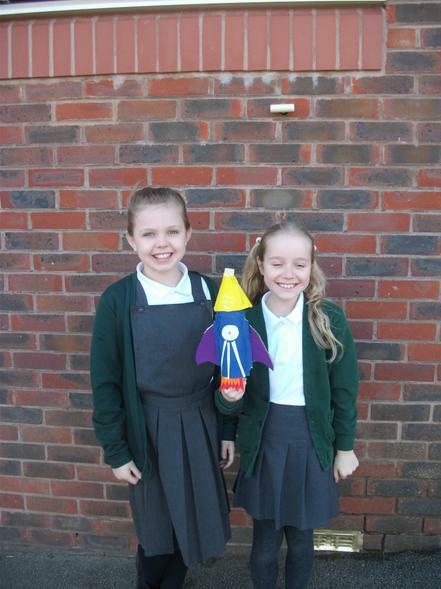 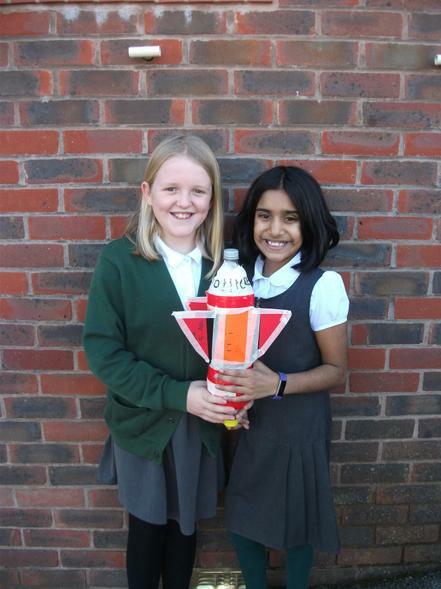 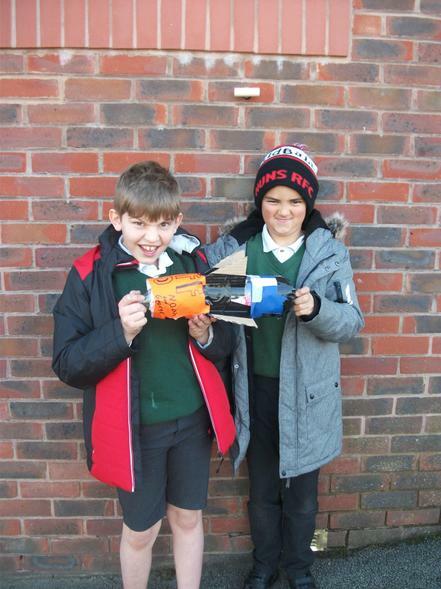 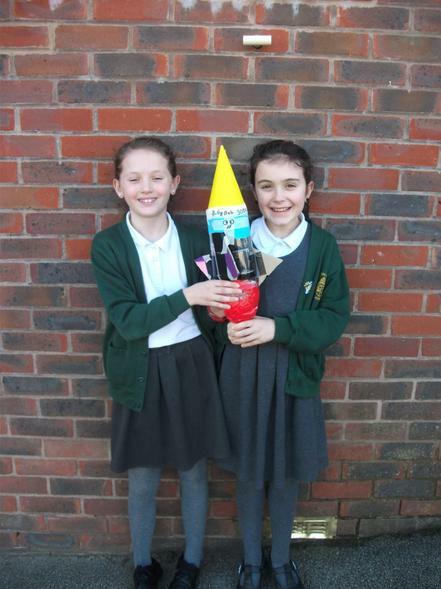 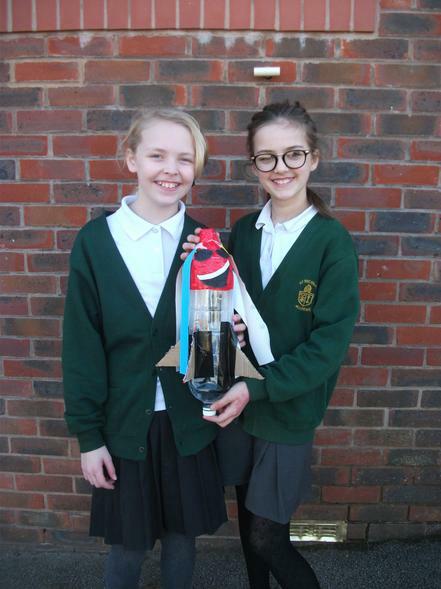 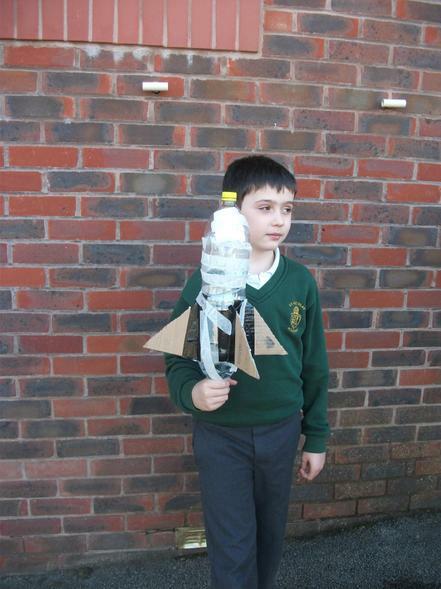 Here are our year 5 rocket scientists! 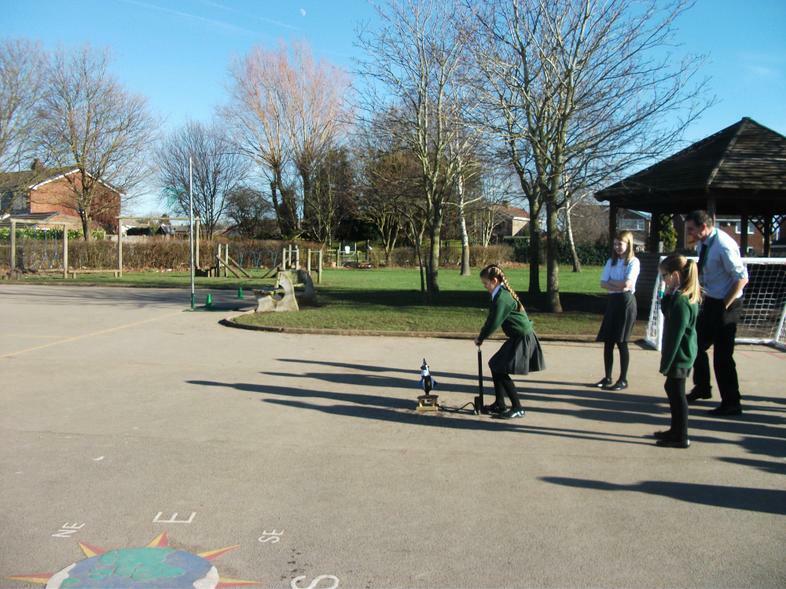 Experiment investigating the phases of the Moon. 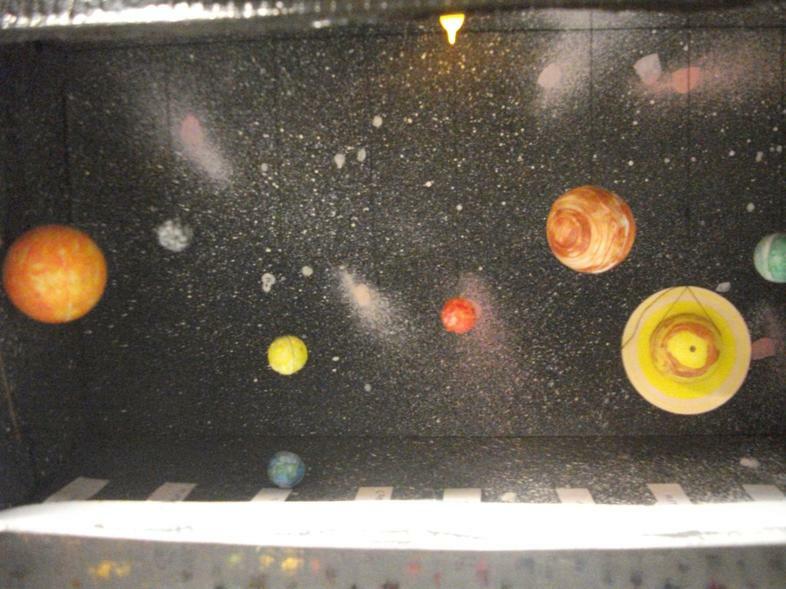 Does anyone know what phase this is?! 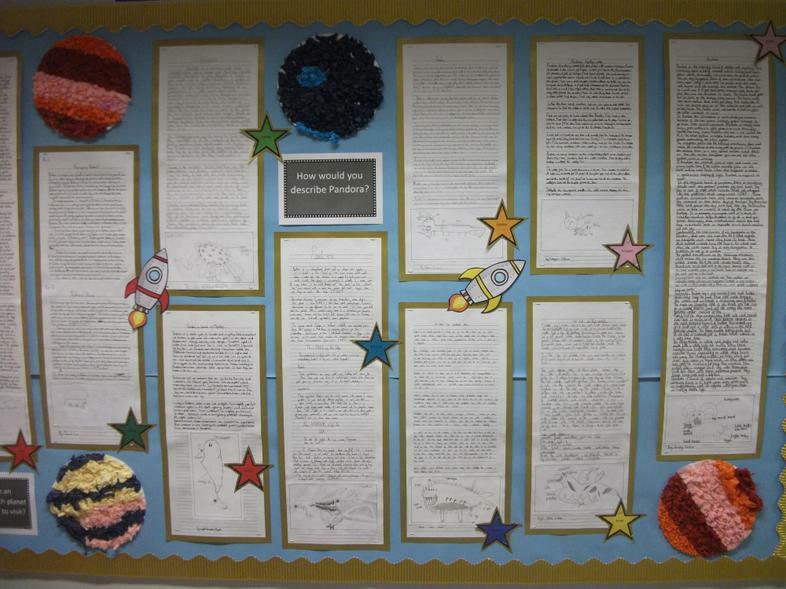 A selection of our super work on Space. 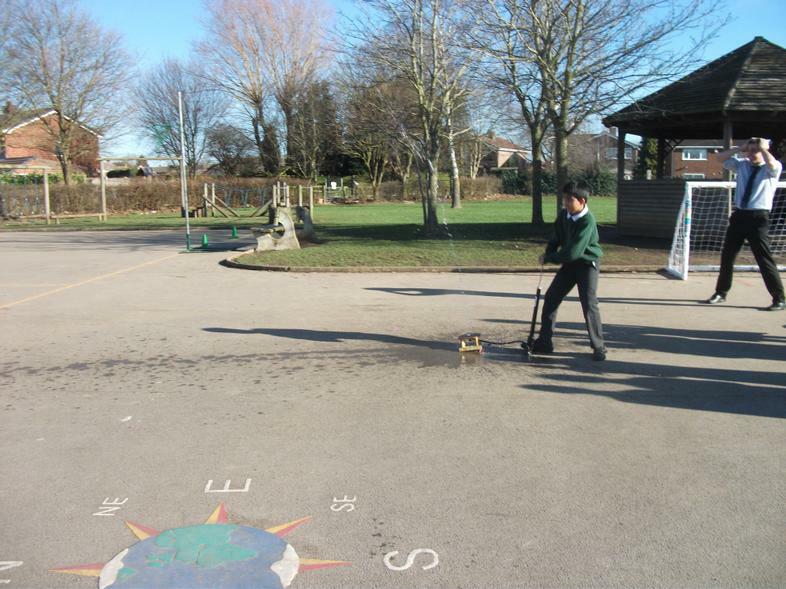 During this term, we introduced the children to an exciting new topic called Alchemy Island. 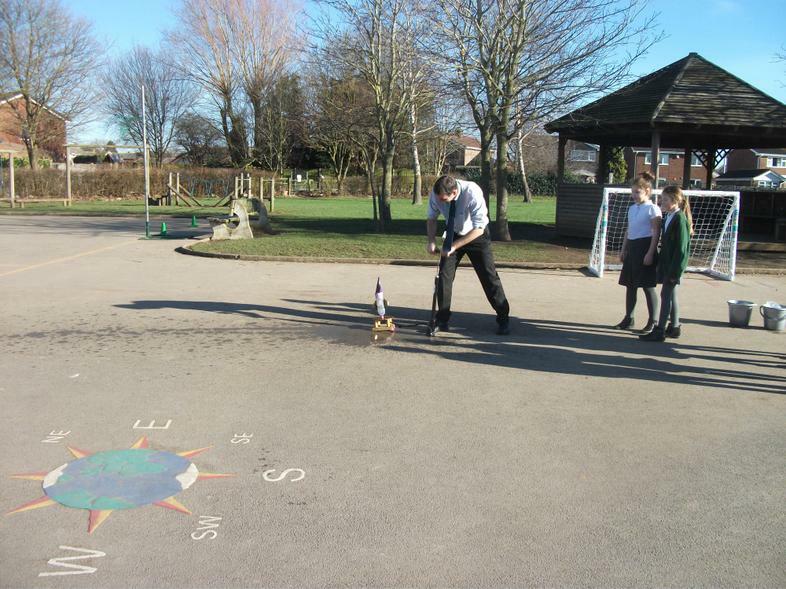 This involved investigating a mysterious island that is full of fascinating and unusual materials. 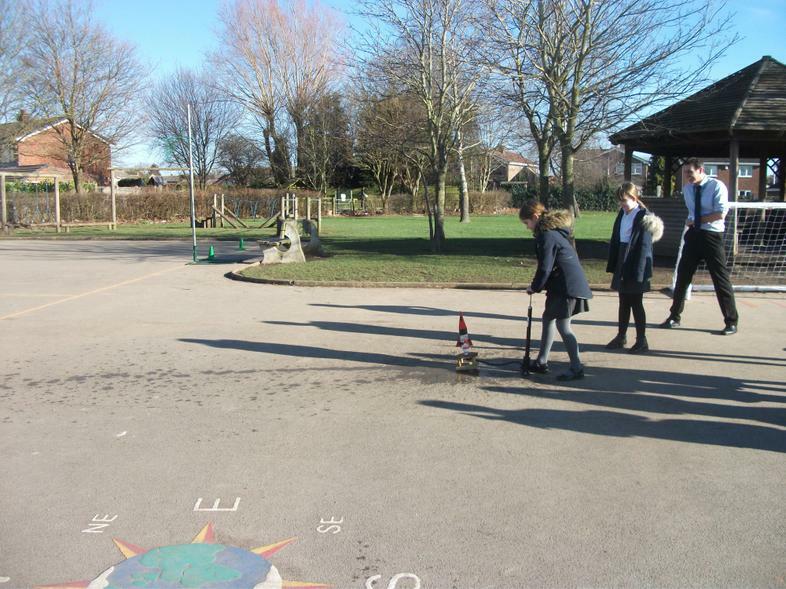 All pupils greatly enjoyed conducting science experiments where they discovered the properties of many substances that are found in this unusual place. 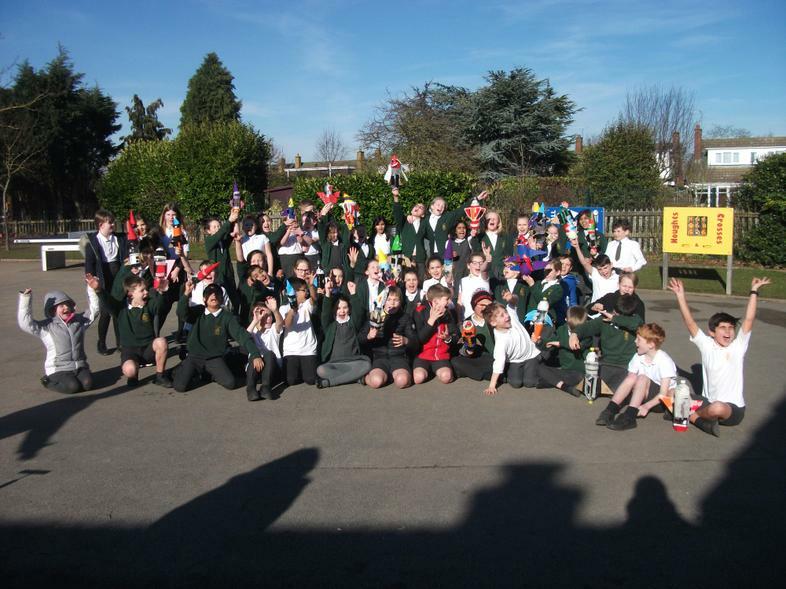 We also received a visit from a person who lives on the Island and all pupils thought of some great questions to ask him! 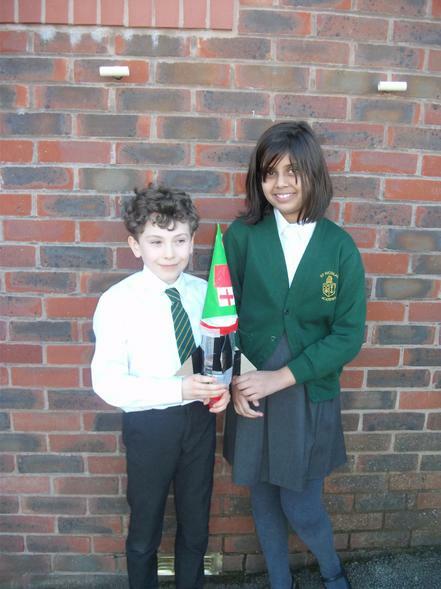 Everyone in year 5 had a fabulous end to the term when they took the leading role in our KS2 Christmas production at St. Nicolas Church. 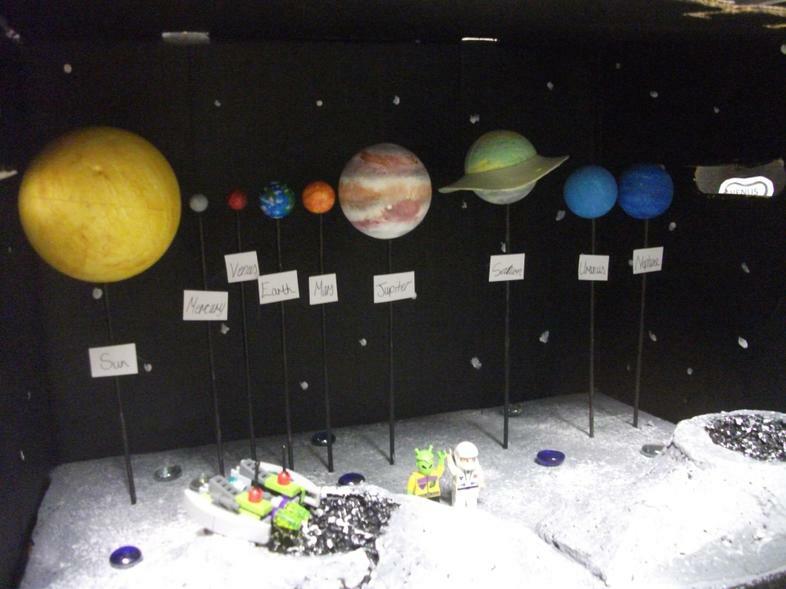 Everyone greatly enjoyed watching this - well done to all pupils for their hard work!